Forklift truck manufacturer Doosan will be exhibiting at Cereals 2018 (stand No. 642 at Chrishall Grange, Duxford, Cambridgeshire, 13th-14th June 2018. 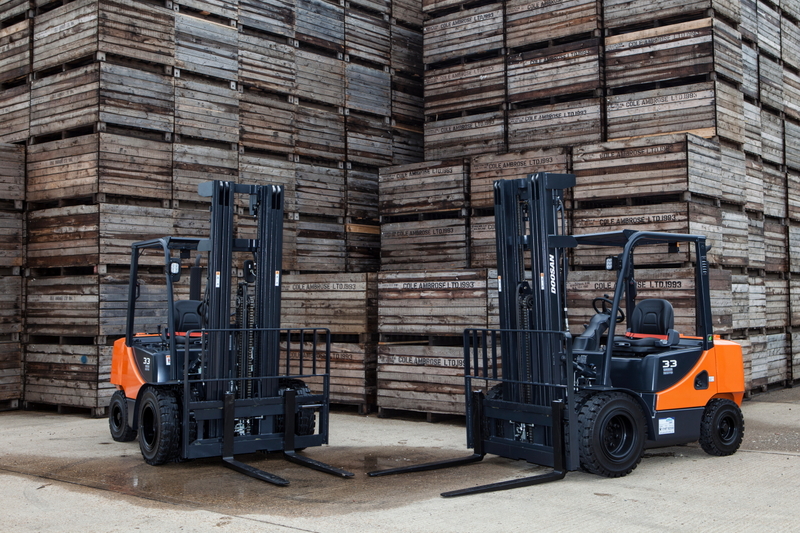 On the stand will be four of Doosan’s latest feature-rich counterbalance forklift trucks – representative examples of the manufacturer’s extensive range of over 200 models of counterbalance, reach and warehouse trucks, with capacities spanning 1.3 to 25 tonne, over power sources of electric, gas and diesel. Everything the agricultural sector needs in terms of handling performance to keep busy farms productive. A star attraction will be Doosan’s revolutionary G2 diesel engine, which is fully compliant with all current Euro Stage lll/lllB/lV emission regulations, without requiring a Diesel Particulate Filter (DPF).